Peacefully located and surrounded by the natural landscape of Algarve, Vila da Mesa offers air-conditioned accommodation with free access to an outdoor swimming pool with salt treatment. There is a free private parking on site. Featuring a garden, House Alister is a holiday home located in Algoz. The holiday home features air conditioning and free WiFi. Free private parking is available on site. Located 1 Km from the village of Algoz, Quinta do Lamijo is a country house surrounded by garden that offers air-conditioned rooms and apartments, a shared outdoor pool and free private parking. This countryside farm house caters for those looking to get back in touch with nature, and offers ample opportunity to relax and enjoy your free time. Located in Algoz, this air-conditioned villa features a garden with a seasonal outdoor pool. 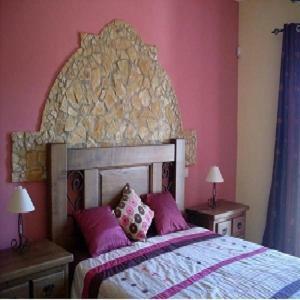 The property is 11 km from Albufeira and features views of the mountains. Free WiFi is available throughout the property.